During math stations lately, a couple of choices have revolved around polygons: polygon art, polygon posters, and transformation art. 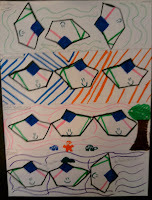 For the polygon art, students followed this rubrichttp://mathforthemiddle.com/Documents/Polygon%20Art.pdf, to create either an abstract picture or a recognizable picture. 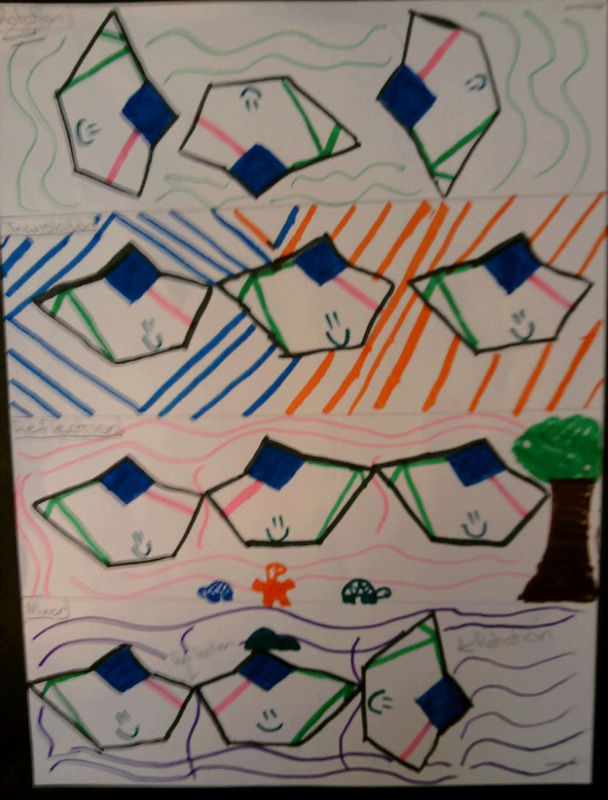 While we'll add more, here are some examples of a students who used at least one of the following polygons to create their pictures. 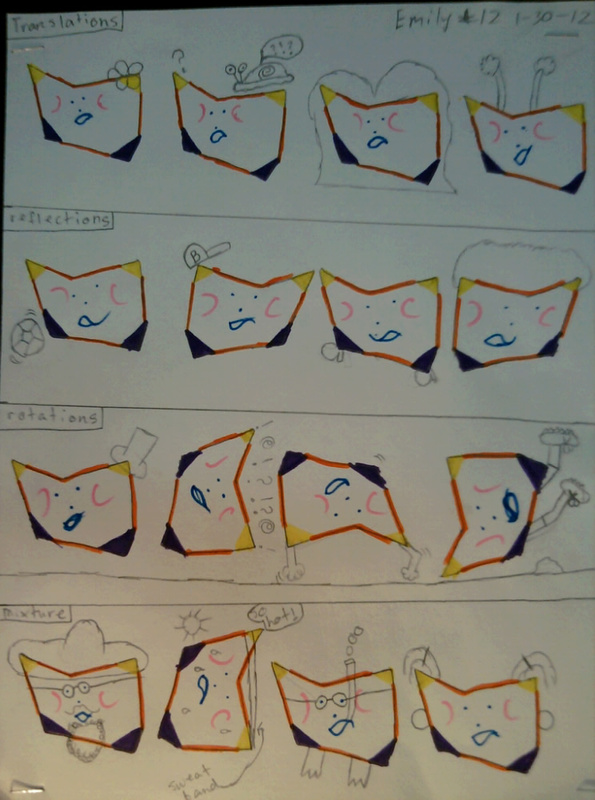 For the transformation art, students cut out and designed their own polygon on an index card; then they used their polygon to make various polygon transformations: translations, reflections, and rotations.